Win a free copy ! 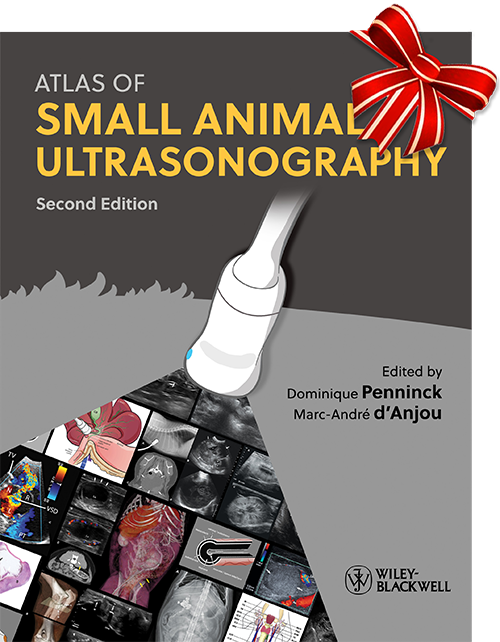 Like and share our Facebook page before Valentine’s day and you could win a fresh copy of the Atlas of Small Animal Ultrasonography 2.0 ! Click on HOME to discover what this site is about. Hi, I am trying to purchase the book, but It appears to be on back order on the Wylie site. Do you know when more will be available, or is there somewhere else to purchase it? Hi Stuart! The book can be pre-ordered on Wiley’s site or on Amazon. Does the 1st edition of the textbook qualify? I’d only bought it few months ago. I’m sorry to say that it does not qualify… The access codes will be included in the 2nd edition that was significantly changed from the first edition. can I access the videos before receiving the actual book? Already purchased it. Hi Calin. Thanks for your interest in our book! 🙂 The videos are not completed – only a few – and the video page is under construction. The page will be accessible once the book is released and with the password that will be inserted in the copy you will receive. Meanwhile, you can view some of the new content on this site. Loved the posts. Very informative. I would like to learn my student´s in Brazil. I would like to learn more about ultrasound for small animal. Great! Follow our blog then!